Having a skilled attorney on your side like Lynn C. Harris is crucial. Mr. Harris has years of experience fighting for injury victims throughout Provo and the state of Utah, and he has taken on negligent individuals as well as negligent companies and institutions, helping injury victims obtain just compensation in the process. Legal help is particularly important in auto accident claims. Lawyers on lawsuits involving car accidents will help injury victims and their loved ones in their time of legal need. This assistance can be very crucial when a rollover accident has occurred. Rollover auto accidents refer to the kinds of accidents in which a vehicle turns over and winds up on its side or on its roof. These kinds of collisions have proven to be very serious, resulting in major injuries and even death. There are two kinds of rollover accidents that can occur: tripped rollover accidents and untripped rollover accidents. Tripped Rollover Accidents – Tripped rollover accidents refers to rollovers that are triggered by a force exerted on the vehicle in question. This includes being struck by another vehicle, driving onto an upward or downward slope, or colliding with a curb or median. Being thrown off balance in this fashion makes a rollover more likely. Untripped Rollover Accidents – Untripped rollover accidents are ones in which an issue with the vehicle itself results in a rollover. In these cases, the rollover may be the result of poor traction when making a turn or by a vehicle making a sudden and unexpected steering adjustment, throwing off the weight distribution on the wheels. 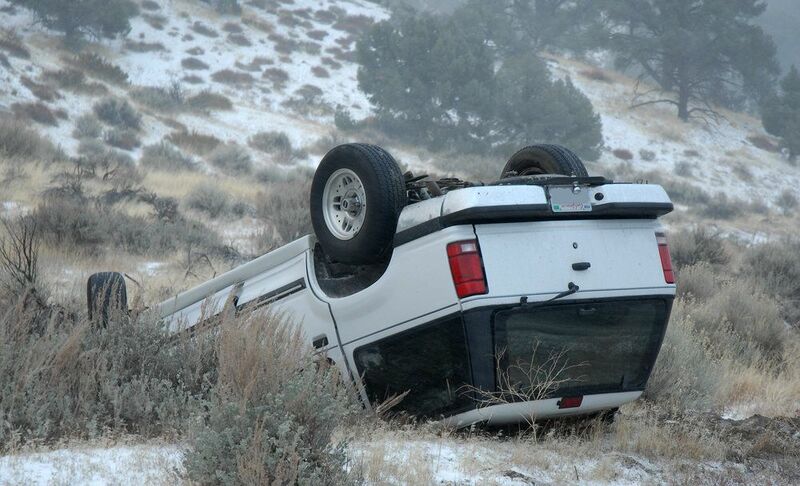 While the types of rollover accidents noted above cover some of the causes that rollovers occur, the primary cause is a shift in vehicle balance and stability and/or a high center of gravity on a vehicle. Narrow axles and issues with steering systems can similarly contribute to the likelihood of a rollover occurring. Owners or drivers of any of the above need to be extra cautious while on the road. When a vehicle rolls over, the force of this occurring can make serious injuries far more likely. Broken glass can lead to serious lacerations, and the impact to the chassis can make broken bones and internal injuries more likely. If a vehicle rolls over onto its roof, the chances of a catastrophic injury are immense. In these cases, the roof may collapse due to the weight and impact, a serious matter known as a roof crush. In roof crush injuries, drivers and passengers are more likely to sustain severe, disabling, and even fatal injuries. To learn more about your legal rights and options following a serious motor vehicle accident, it's of the utmost importance that you contact a skilled personal injury attorney today. Lynn C. Harris will work with you in your time of legal need.